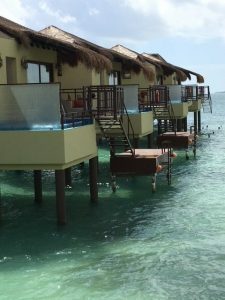 The Benefits of All-Inclusive Resorts for Meetings and Incentive Programs | HPM Associates, Inc. If you are thinking of planning an incentive program or corporate meeting, you might want to consider exploring the world of all-inclusive resorts. HPM Associates can help you plan a variety of programs at an all-inclusive resort that suits your company’s profile, goals, and budget. We have been working with all-inclusive resorts since their inception in the early 1980’s and have vast knowledge of the options available. If you are a corporation sponsoring an event, an all-inclusive resort is the best way to control the budget, avoid surprises, and understand all of your costs up front. They provide the best “value for dollar” compared to other types of properties and travel options. All-inclusive resorts are also a great option for group participants because they will never have to take out their wallets. Everything is available at no cost to them including beautiful accommodations, a vast array of water and land sports, ongoing activities and entertainment, unlimited food and beverage, and more. Hotels have been raising the bar when it comes to accommodations and design. From villas and casitas, to ultramodern suites above the water, such as the Bali style suites in Mexico pictured here, there are accommodations to suit every taste and budget. Booking at an all-inclusive resort will allow group members to be pampered and taken care of in a unique way. Services such as butler service, private concierge, 24-hour room service, in-room mini-bars, local tours and cultural experiences can all be included. There are all-inclusive resorts to meet all budget levels, with the top-level providing upgraded dining and drinking experiences. The upper level of these resorts offer beautifully designed restaurants with menu service that also feature international dining options with a multitude of themed restaurants including Asian, Italian, French, Mexican, American, Spanish, and more. In fact, many resorts have started to feature a celebrity chef and/or Michelin-rated dining experiences. One of HPM Associates favorites, AMResorts was just named “Best Overall Hotel Chain” by the Stella Awards. The Stella Awards are presented by the Northstar Meetings Group to honor excellence in the meetings industry. AMResorts is one of the premier providers of sales, marketing, and management of a wide array of all-inclusive resorts that cater to various market segments. Need help planning an incentive program or business meeting? Contact HPM Associates to see how an all-inclusive resort can meet and exceed all of your expectations.